The original project was intended for the Chajul school, but at the request of the director of the school the project was cancelled due to non support of the parents committee. 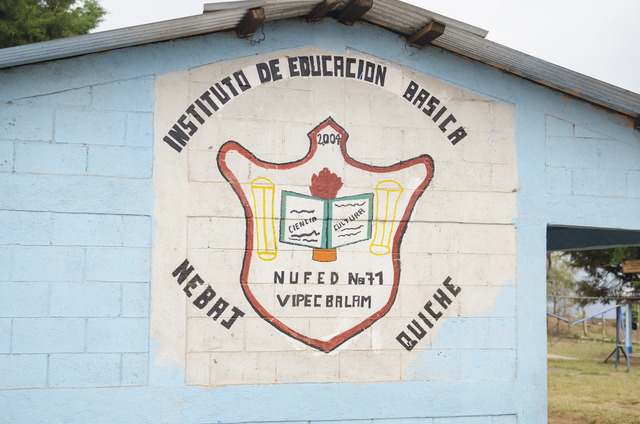 The schools in Vatzuchil and Vipecbalam were chosen as alternates. The Vipecbalam School is to the left of the Vipecbalam Health Clinic. 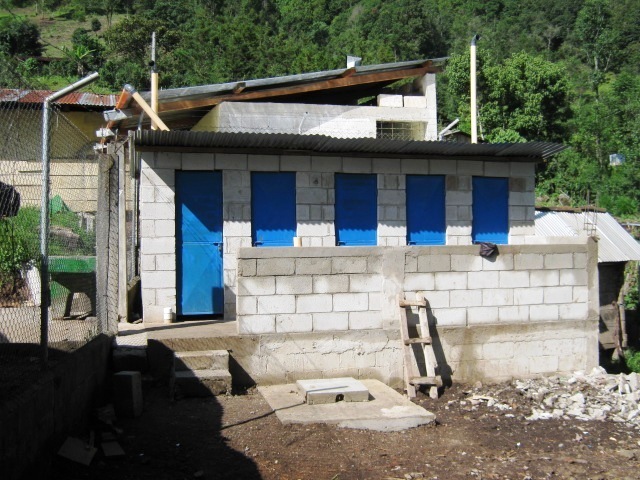 The school has two hand washing stations and a set of bathrooms built by the community and with the support of APLS. 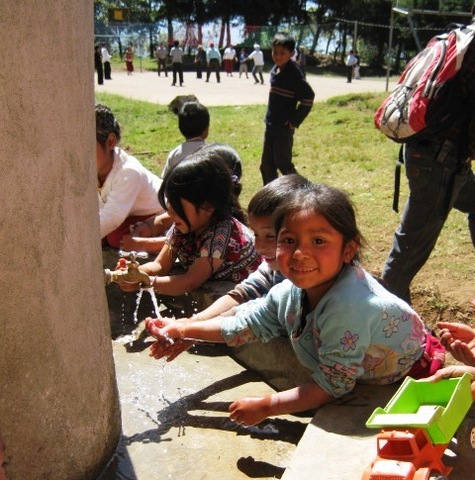 The hand washing station was a joint project between Peer Water Exchange and Save The Children. 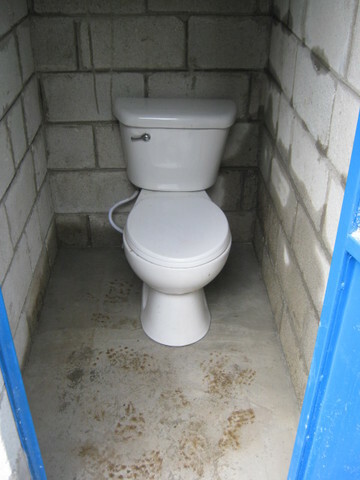 The latrines were done with a donation from Water For People. 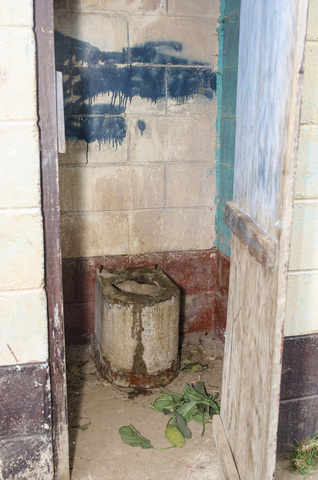 The facilities are 4 years old. The school has 160 students and 5 teachers. This project is a good example of what Lynn Roberts, head of APLS, cites as a major issue with new water systems over time. He finds that donors are excited to financially support a new project but less willing to contribute any funding to the long term inspection, training and maintenance of a project after it is completed. 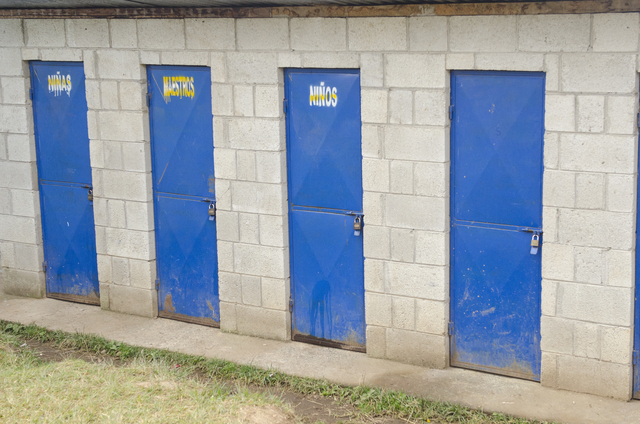 A big part of this problem, especially amongst schools, is that it is common in schools for the leadership to change more often and this leads to a loss of the training by the Circuit Riders and consequently less concern for the upkeep of the facilities. The water systems need maintenance, clearing drains, faucet and pipe inspections and replacement parts. 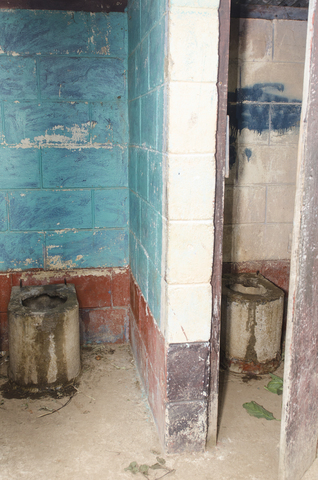 The community needs to understand the mechanisms involved, especially with flush toilets. A problem could be an easy fix but without the education, necessary funds and a point person or persons to have this charge, an important operational system such as potable water systems for these communities can prove defunct after just a few years. Without regular inspection and repair, the projects become just another dysfunctional mechanism in the community that will only get worse and may eventually become nonfunctioning all together. Combine this with the potential for major storms, landslides, etc, and communities without a regular maintenance plan and someone to supervise and monitor these community projects already in place, and they will be at risk of loosing their water and sanitation facilities completely. In order for these water systems to be successful long term, which must be an original goal of the donors, long term sustainability has to be a priority in the initial planning stages by setting aside the funds necessary for monthly inspections and eventual repairs. The communities have the charge to pay for the modest repairs and upkeep but the Circuit Riders need to have the funds necessary to educate the members to succeed and be there to support the projects before they become a major problem. Without the funds for a yearly salary for the modest number of Circuit Riders (3) for the wide area of Guatemala that APLS services, there will be no program in place to oversee that the systems are providing the important service that the original donors intended. According to Lynn Roberts, the Rotary Foundation, recognizing this key element in sustainability, has recently changed their funding criteria to include and added 30% to projects for administration and long term inspections and training. 1. Donor organizations consulting with Lynn Roberts on cost involved for a successful 5, 10, 15 yrs maintenance plan for the water systems. 2. Making sure to allocate these funds in the preliminary costs of the plans. 3. In addition, or instead of #1 and 2, initiate a plan "Adopt a Water Project" where donors can contribute to projects already established to maintain them long term. They can get regular updates, which would help to make the community accountable and proud of their success over time. Perhaps with proper upkeep and documentation of success and testimonials from the communities, there can be more access to additional needs in that particular village to achieve complete self-sufficiency and independence in that community, which is the ultimate goal of NGOs. I'm suggesting that we think bigger. What does a community of that size that we have agreed to work with initially need in order to succeed in the long run? Running faucets in every household? Safe drinking water? What would be the biggest dream for these communities to have the most success on their own? Is building a system that fails after only just a few years better than building one at all? Lynn Roberts has informed me that APLS is in a very delicate situation right now and without increased donor support, their future and important role in Guatemala may be non existent. From what I observed in my time with Lynn, Guatemala is not prepared yet to lose this NGO. They have completed 100s of schools and projects under his leadership and while those all need to be maintained in order to be successful, there are still so many communities that need the support of donors funding these NGOs to keep the positive improvements flowing. I would be willing to write several photo essays and send them off to any and all donors, magazines or corporations as a plea for APLS to help them continue their progress. I would go back again for more documentation if that is necessary but I think we may all need to feel the weight of this organization potentially dissolving without a renewed investment of our energies to keep it alive. 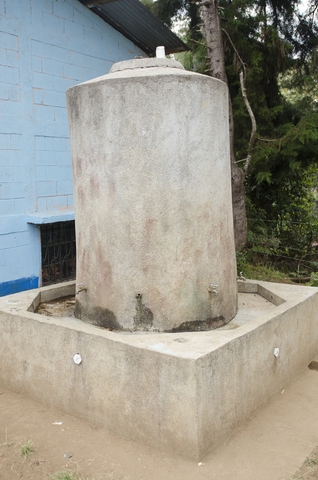 Both projects were in place of the Chajul school project. Both Vipecbalam and Vatzuchil projects are complete. The Vatzuchil school project was completed at the beginning of June 2010. The project consisted of five flush toilets and cabins; a septic tank; seepage pit and drain lines; installation of an existing sink for the kitchen. This project is in place of the Chajul school project which was cancelled at the request of the school due to non participation of the parents in the project. The Chajul school project was suspended due to school directors request. The director indicated that he could not get the cooperation of the families to complete the project. As a result two other schools were selected for completion with the funding. This work began in late Feb. 2010. 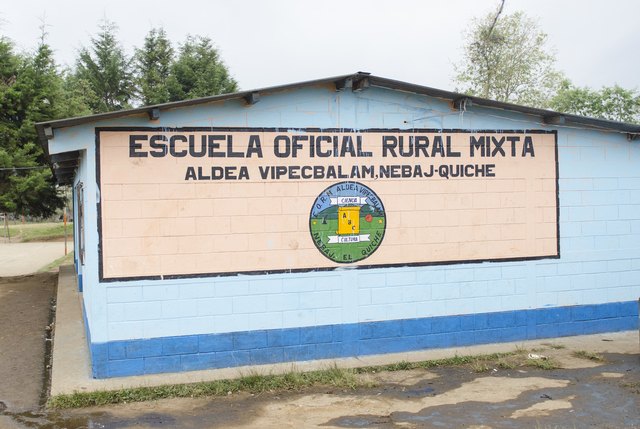 The two schools selected were Vipecbalam and Vatzuchil, both in the municipality of Nebaj, Guatemala. 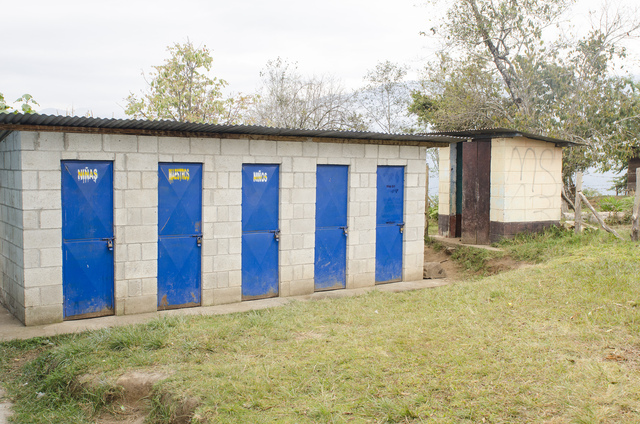 The Vipecbalam projects is a hand washing station and the Vatzuchil project is a set of 5 flush toilets and septic tank complex. The Vipecbalam project is complete and the Vatzuchil project will be complete in early May. 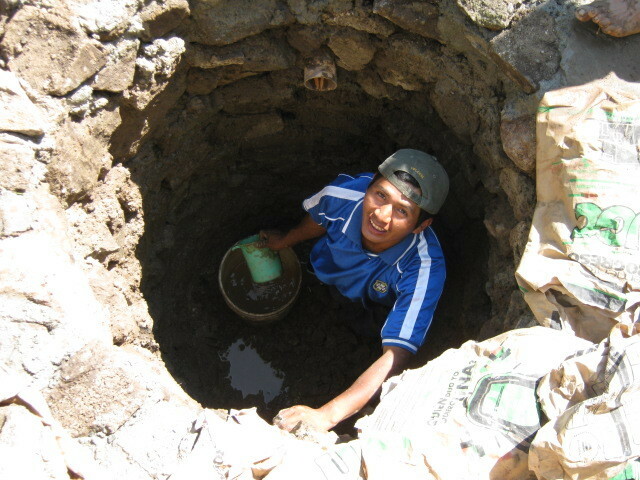 Agua Para La Salud has a long standing presence in the area and gives technical assistance to schools and communities when maintenance problems arise. Remaining funds in the amount of $733.14 were transfered from the La Turanza school project to suppliment the cost of the Vatzuchil and Vipecbalam projects. Remaining funds $1779.57 from the Simolcol and Tijom school projects were also used to balance the cost of the Vatzuchil and Vipecbalam school projects. ($5081)$5119+1779.57+733.14= 7631.71 Cost of the Vatzuchil and Vipecbalam = $7155. Exchange rate adjustments left a positive balance of $438.92 ($476.71). These remaining funds will be used to buy supplies for repairing other school facilities ,with the approval of PeerWater, in our "Circuit Rider" maintenance program . 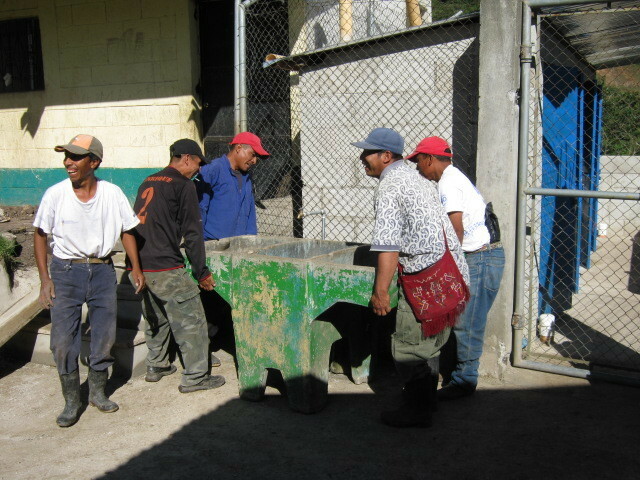 The children at the Vipecbalam school received a hand washing station. 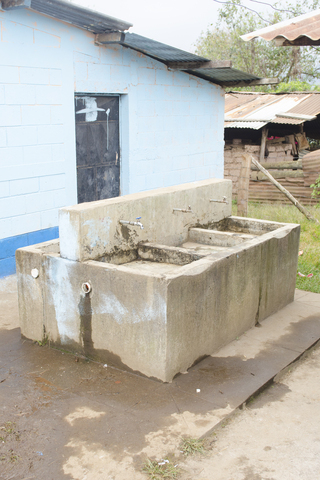 The children at the Vatzuchil school received a flush toilet complex of five toilets and septic tank project.